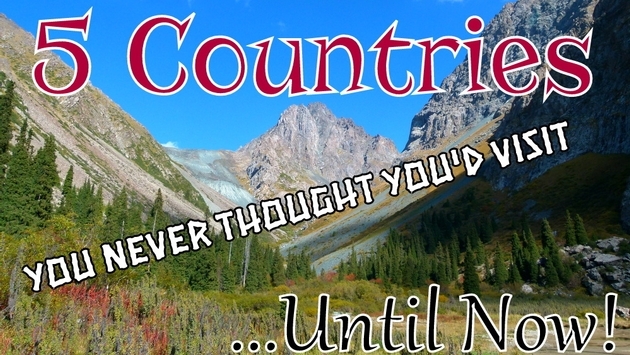 5 Countries You Never Thought You'd Visit ... Until Now! The world is full of fantastic destinations. Popular places that thousands upon thousands of people visit each year, but what about the lesser known countries? The ones that have somehow kept off of the tourist radar and managed to preserve their pristine natural beauty, unique customs and colourful culture. For some of us, it's havens like these that stand out and make for the most unforgettable trips. Blazing a trail into unknown parts of the world will always come with its challenges, but the rewards usually outweigh any difficulties along the way, and these five hidden gems are some of the most rewarding places you will ever visit! This tiny island nation bobs silently in the southeastern Caribbean Sea. Still just a small blip on the tourist GPS, Grenada is only visited by the occasional cruise ship. Fringed by powdery white sands, swaying palm trees and rocky outcroppings, this is the perfect place to get away from it all, while still enjoying some comforts from home. Grenada is known as the Isle of Spice, with its main export being nutmeg. The island's mountainous interior is covered in spice plantations and lush rainforests where secret waterfalls wait to be discovered. You couldn't ask for a better place to go for a hike and if you don't feel like trekking, there are windy coastal roads, beautiful harbours and the funky Caribbean capital of St. George's. Not too many people have heard about Grenada, but it is said to be the most laid back of the islands in the West Indies. 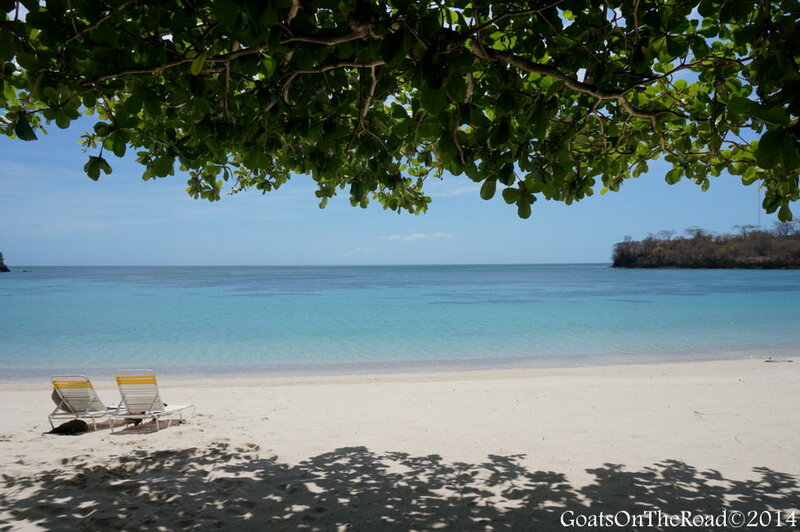 To top it all off, Morne Rouge Bay and Grand Anse beach, on Grenada's southeastern coast, are often listed as the most beautiful beaches in the Caribbean. Pronounced keer-giz-stan, this small alpine nation is often referred to as the Switzerland of Central Asia. More than 90% of the country is mountainous and many of the inhabitants still get around on horseback. This is a great place to lace up your hiking boots and go exploring. You may be thinking that Kyrgyzstan is a difficult place to travel, but it's quite the opposite. Currently, you can obtain a visa on arrival and many airlines fly to Bishkek (the nation's capital) for very cheap. Perhaps there is nowhere in the world where meeting and mingling with the local people is so easy. Community Based Tourism (CBT) manages friendly homestays all over the country, which means that visitors can stay with local families and eat home cooked meals while learning more about the unique Kyrgyz culture. Not only do you get to make friends with local people, but you are able to give back as well. CBT gives much of their profits back to the community. Aside from hiking, horse trekking and homestays, stunning Lake Issyk Kul has beautiful sandy beaches with the mighty Tian Shan mountains looming in the background. Kyrgyzstan truly has it all! 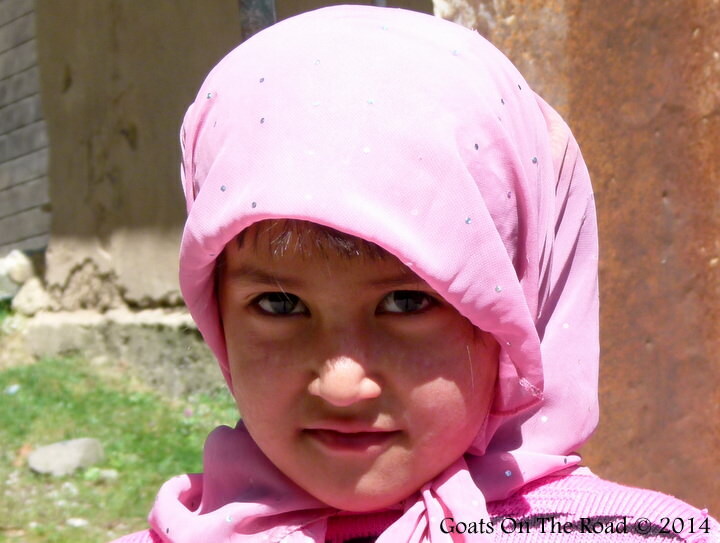 A PHOTO: Cute Kyrgyz girl in the village Of Arslanbob. Mozambique doesn't have the animal packed national parks of the Serengeti in Tanzania, or the endless vineyards of South Africa, but it's windswept coastline and deserted tropical islands make it one of the most desirable locations in eastern Africa. The people here are warm and welcoming and the food has a spicy Portuguese influence, which is a nice change from some of the more bland African cuisines. The Portuguese also left behind charming colonial cities like Biera, Maputo and Isla De Mozambique. If you can brave the broken roads to the far north, you'll be rewarded with picture perfect islands, where the only inhabitants are huge, prehistoric coconut crabs. Hire a captain and a boat from Ibo Island and sail from paradise to paradise on little more than a few dollars per day. Indulge in freshly caught seafood every night while gazing up at the stars from your own, secluded utopia. One of the last travel frontiers on Earth, Mongolia is an undiscovered nature lover's paradise with all of the adventure that a traveller could ask for. Imagine a 1.6 million km² campground where horses outnumber man 7-to-1. Mile after mile of rolling green hills are the only thing that stop the enormous blue sky from engulfing the steppe entirely. Do as the locals do and hire or buy a horse and trek into the vast unknown steppe, and spend your nights in a ger (Mongolian yurt) with a friendly local family. Try foods you never thought you'd consider eating and witness the adrenaline packed horse games of Nadaam Festival where riders often lose their lives to the competition. 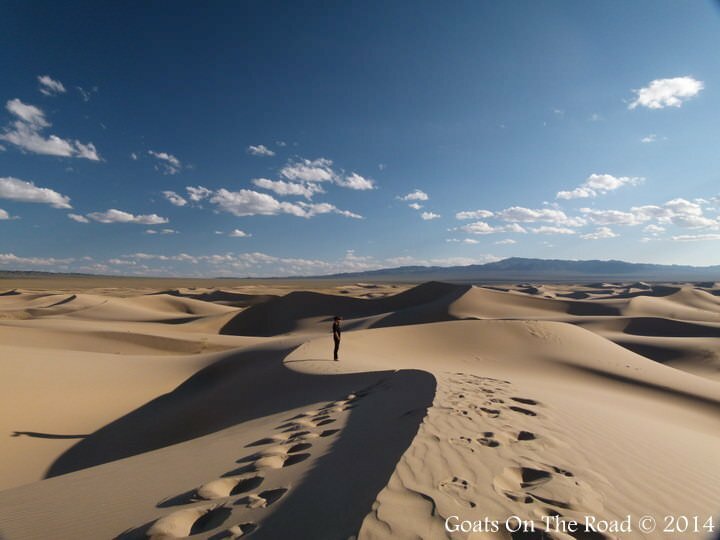 If you tire of the lush emerald-green hills and glistening rivers of the steppe, you can venture deep into the Gobi Desert and ride a camel over ever-changing sand dunes. A country far from home, travelling Mongolia is an exhilarating experience that everyone should try at least once. Incredible natural beauty and warm, friendly people will make you want to return time and time again. There is nowhere quite like Mongolia. "But wait, aren't there terrorists in Iran? No! That's Iraq, Pakistan & Afghanistan. Why would you want to go to an Arabic country with suicide bombers? Um... Iran is not an Arab nation, they are Persian and there haven't been any suicide bombings here." These are the types of stereotypical questions you'll be asked when you tell people you are going to Iran. The stigma and fear surrounding this misunderstood nation is purely media driven and it is completely false. If you ever speak to a person who has travelled to or lived in Iran, you will quickly learn that the Iranians are some of the most friendly, welcoming and honest people you'll ever meet. 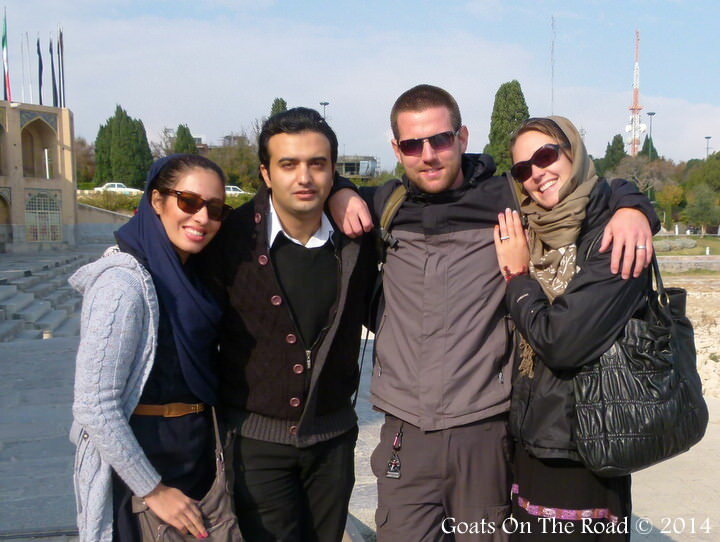 Travellers sometimes debate over which country has the friendliest local people... unless they've visited Iran. Those who have travelled here almost unanimously agree that Iranians are on a whole new level when it comes to hospitality. You can't travel through this country without being invited to stay in a family's home. Random people will invite you for tea or walk you to your hotel. You'll find yourself having deep and meaningful conversations with complete strangers. Pair this with incredible architecture, rich history and a wide mix of religious beliefs and you have one of the most fascinating travel destinations on Earth. The word about Iran is spreading quickly and people are finally starting to realize that this is a great place to travel... so get here fast! Travel is all about exploring somewhere new, while learning about cultures and about yourself along the way. For some, visiting a new country and indulging in all of the amenities that can be found at home is enough to call "travel". But if you're reading this article, you're probably looking for somewhere off the beaten path. When you travel, you probably look to connect with the people and the culture in a different way. If that is true, then visiting the five places above will definitely get your travel juices flowing and you will be rewarded with memories that will stay with you forever. If you open up and let the road take you to new places, you'll always find yourself at home. Have you been to any of these places? Do you have your own secret destination? Please share with us in the comments below!